This weekend we took 20 six to eight year old boys on a Beaver Scout sleepover. The setting was fabulous. There was a log cabin in the middle of a wood, a place for the Scouts to camp, a wooden play area and a rustic, open church. 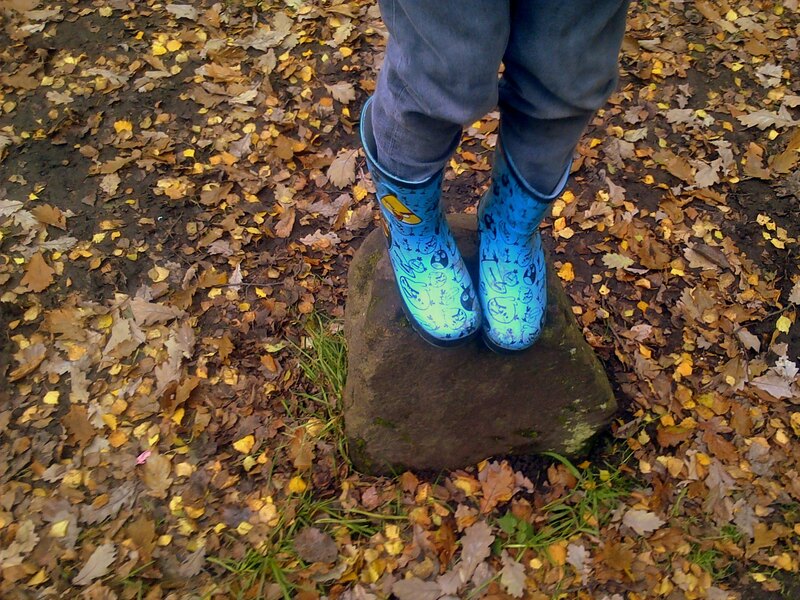 We had gorgeous weather, the air was crisp, there wasn’t a raindrop in site and the orange leaves crunched underfoot. After lunch, we let the boys go. They ran outside, jumped in the leaves, rolled around on the floor, and did tarzan jumps with a piece of rope. A number of them found sticks and spend ages hitting trees. Some of the sticks were drum sticks, others were lightsabers, some were fencing poles, others were a particularly special object. Their imagination knew no bounds. Over the entire weekend, no child had access to a phone, a computer, a TV or any other form of screen. Not once, over the entire weekend did a single child ask me for any of these items. Nor did I ever hear the phrase ‘I’m bored’. No child complained that we ‘made them go outside’, in fact, most of them complained when they had to come in. On Saturday, I asked one boy what he’d been doing the morning before he came. The response I got was ‘playing on my DS’. Once we let that child out of the building, he was off like a shot, running around and enjoying the fresh air. The next day, he listed all the many electronic items he owned. Once again, as soon as we opened the door, he was running around and jumping in the leaves. But I bet when he got home, he was straight back in front of a screen. Kids were born to be outside. They were made to run and jump. They bounce. They need fresh air and the ability to be free and run off their limitless energy. They don’t want to be cooped up indoors. Parents seem fearful of taking children outside. ‘What if they get cold?’ ‘What if someone steals them?’ ‘What if they get run over?’. I’m not saying these aren’t valid questions, but there are solutions to these problems. Many parents may claim they don’t have time, they’re busy, or they’re just too stressed. But I can assure you; an hour jumping in leaves with your child will lower your stress levels no end.